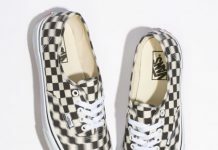 If you’ve been waiting patiently for a pair of Authentic’s or Sk8Hi’s to tickle your fancy, Vans has taken yet another swing at Spring/Summer 2015, this time in a clever “Glitch Check” motif. 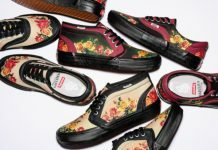 The subdued colorways make these effortless choices for the S/S15 season. 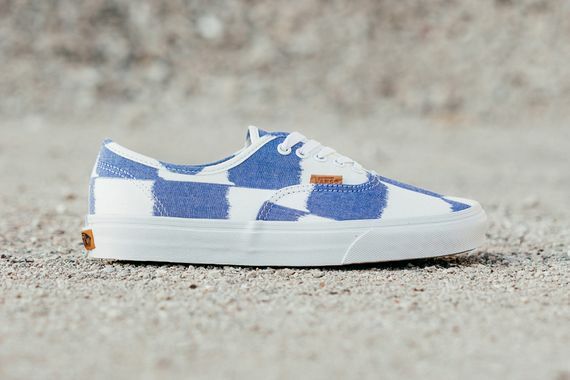 Dressed in white and a faded, damn near denim, blue, Vans has tweaked their iconic check pattern by blowing it up and fuzzing it out, the audio equivalent of putting some distortion on it. 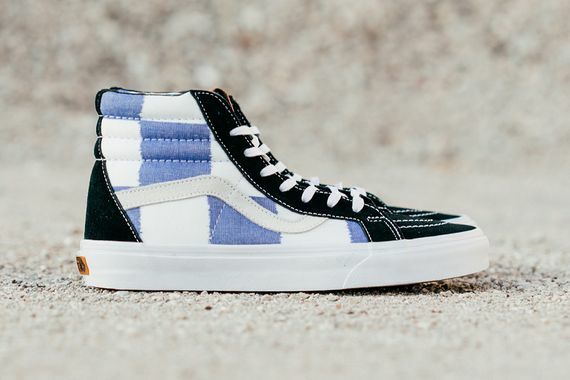 The Sk8Hi is accented in black suede and the whole pack can be copped now, don’t miss out.